Graduated from University of Melbourne in 1984 with a degree in Chemical Engineering (Hons). Held various executive positions working at BP from 1985, including Head of Supply in Rhine region and Global Head of Supply Chain Management. 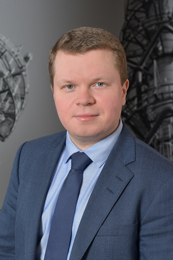 Was Head of Strategy and Finance at TNK-BP Supply and Trading from 2012 and led international projects at Rosneft from 2013. 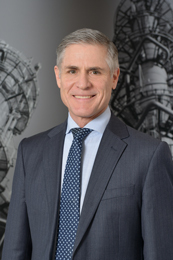 Since 2017 is General Director at Rosneft Deutschland GmbH. Is a member of PCK Refinery supervisory board. Graduated with distinction from Moscow State Institute of Foreign Affairs and from Bocconi University in Milan in 2008-2009. Completed professional development program at Gubkin Russian State University of Oil and Gas (National Research University). Has CMA, MBA degrees. Worked at Ernst&Yong from 2008. Was head of business planning and performance analysis division at Gazprom Neft from 2009. Was head of joint projects controlling division at Rosneft from 2013. Since 2016 is Chief Financial Officer at Rosneft Deutschland.